Coral Reef Slots, as you possibly expect, is a slot game that looks exceptionally good-from the wild variety of colors that decorate the background of the menu as well as the symbols to the common but spectacularly realized treasure chest at the bottom of the ocean atmosphere. The game has 21 paylines, 5 reels and 3 rows. Apart from that, the slot will provide you with bonus games and profitable symbols that help the gameplay live up to its visual appeal. 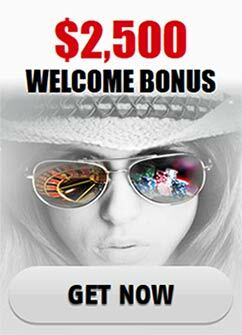 The rules are reminiscent to many other slot games with the minimum bet starting at 10 cents and then going as far as 10 dollars, which will be applicable with nine different winning combinations. The game’s symbols are just pretty to look at, as it is the entire sea world of the game. There is a seahorse symbol, a dolphin symbol, an exotic jellyfish icon, fishes, crabs, sharks, an octopus, a sea shell symbol and others. You will also be able to uncover a treasure chest symbol. The scatter is the shell symbol and it has the ability to open up the free spins bonus round. In order to do that you have to collect three scatters. After the free spins have been started players will be granted the ability to choose between sea shells and depending on the choice, a different number of free spins will be awarded. Apart from the obvious basic symbol rewards, Coral Reef Slots also offers a bonus game and a solid jackpot. The bonus which you need in order to activate the slot’s main bonus round is the seahorse. Players can start the bonus game if you manage to get 3 Seahorses to swim across the reels on an active payline. Once you enter, you will see another 3 seahorse creatures swim across the bonus screen. You will have to select one of them before they join a race. The further in the race your chosen contestant goes, the bigger your final reward will be. The wild symbol of this game is the starfish and it has the regular ability to replace the rest of the symbols in order to complete winning combinations and garner additional prizes. The only symbols that can’t be replaced are the sea shell and the seahorse. All in all, Coral Reef fulfills the expectations for a slot game with an ocean theme-beautiful visual design, satisfying gameplay that covers the main elements of a regular slot-profitable symbols, bonus games and top prestigious prizes and is a must-try for every fan of gambling.